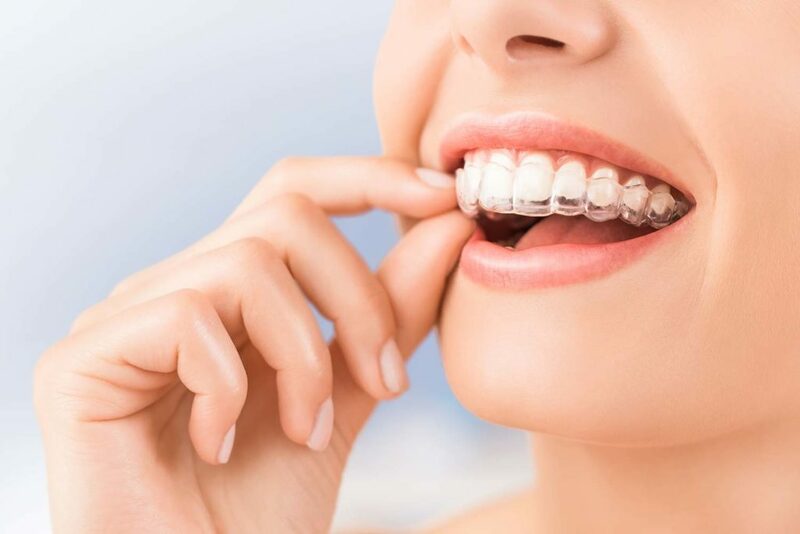 Invisalign is an alternative to traditional braces that uses a series of near-invisible aligners to straighten crooked teeth. The Invisalign system uses advanced 3D technology to create a straight, beautiful smile. 3D scans of your teeth and jaws are used to create accurate computer-generated models of your teeth and to generate a treatment plan. Gradual changes to the position of your teeth are made on the virtual 3D models, step-by-step, until your teeth are perfectly straight. 3D models are printed and used to create a series of clear aligners that will precisely move your teeth in tiny steps. You simply wear each aligner for a week or two before changing to the next in the series. Aligners can be removed for eating and cleaning but are otherwise worn all day and night. You’ll visit us every couple of months to check on progress. Once treatment is complete, you’ll be provided with retainers to ensure that your teeth remain perfectly straight. For more information, contact us today for a free, no-obligation assessment. the most positive, painless & pleasant ever.